^ Haver, Ronald. 大卫·O塞尔兹尼克的好莱坞（Davd O. Selznick's Hollywood）. New York: Knopf. 1980. ISBN 978-0-394-42595-5. ^ Pratt, William. 斯佳丽狂热（Scarlett Fever）. New York: Macmillan Publishing Co. 1977: 73–74, 81–83. ISBN 978-0-02-598560-5. ^ Selznick, David O. 大卫·O·塞尔兹尼克回忆录（Memo from David O. Selznick）. New York: Modern Library. 2000: 172–173. ISBN 978-0-375-75531-6. ^ GoneMovie ->加里·库珀传记（ Biography Gary Cooper） 互联网档案馆的存檔，存档日期2006-12-12. ^ Paul Donnelley (2003年6月1日 ). Fade To Black: A Book Of Movie Obituaries, 2nd Edition. Omnibus Press. ^ Myrick, Susan. 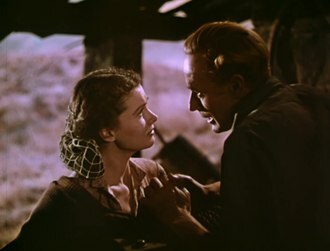 好莱坞：关于乱世佳人的报道（White Columns in Hollywood: Reports from the GWTW Sets）. Macon, Georgia: Mercer University Press. 1982: 126–127. ISBN 978-0-86554-044-6. ^ Molt, Cynthia Marylee. 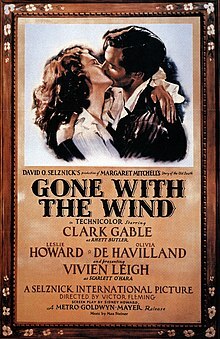 电影《乱世佳人》完全参考手册（Gone with the Wind on Film: A Complete Reference）. Jefferson, NC: McFarland & Company. 1990: 272–281. ISBN 978-0-89950-439-1.